We followed on a successful StoryLab Kuala Lumpur workshop in June with a workshop in Accra, Ghana, between the 25th and 27th July 2017. 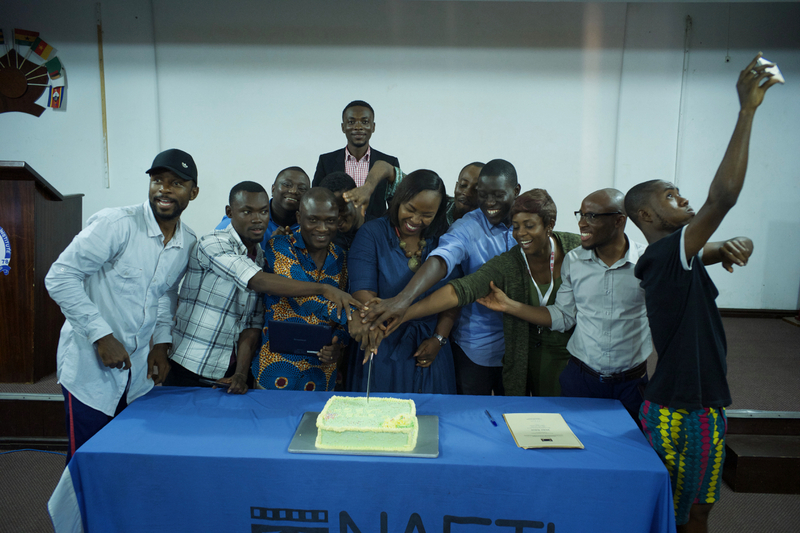 Held at one of Africa’s oldest film schools, National Film and Television School (NAFTI), this workshop, too, proved to be a great success. We had 12 brilliant participants who were all experienced filmmakers, screenwriters and producers engaged with what looks like a lively film sector in Ghana. Professor Erik Knudsen, Dr Nico Meissner, Dr Carolina Patiño and our host, Sarah Kuntoh, ran the workshop over thew two days. Following proceedings several thousands of miles away in South East Asia, our StoryLab Malaysia participants were able to watch and engage with proceedings through the closed StoryLab Facebook Group. Evocative stories of significance to participants were developed and there we many opportunities to discuss and share these stories. We now move on to Ibagué in Colombia, where the StoryLab Colombia workshop will take place between the 12th and 14th September.